Cf. 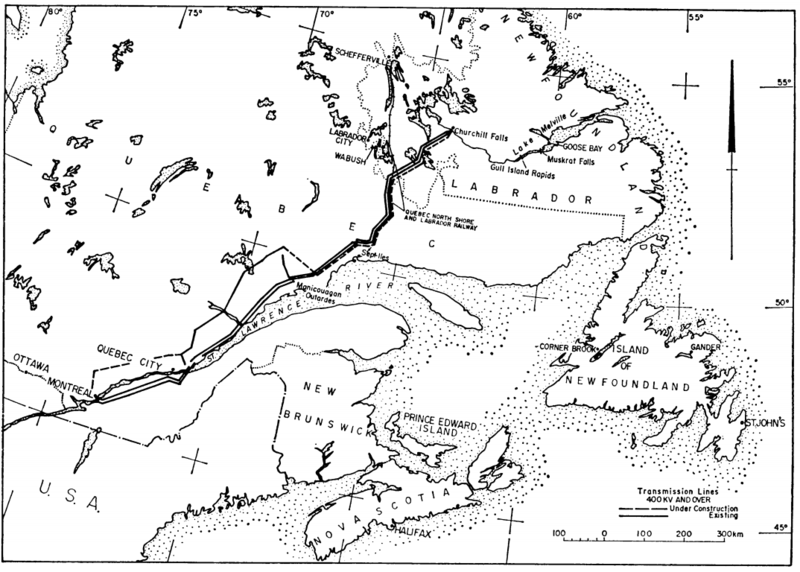 Kennedy's "A Hoot in the Dark"
The Churchill Falls hydro-electric project was inaugurated by Pierre Trudeau, the Canadian Prime Minister, on June 16, 1972. This hydro-electric plant was constructed between 1967 and 1975 and completed one year ahead of the predicted schedule. At the height of its construction, approximately 6,300 workers were present in the summer of 1970. The majority of construction occurred in the summer months, although construction continued year-round despite harsh conditions in Labrador where temperatures dipped to -21°C with a mean annual snowfall of 406 centimeters. The Churchill Falls power station is located in southern Labrador about 1,100 kilometers from an urban area. The Churchill Falls hydro-electric project was the largest hydro-electric project at the time, capable of generating 5,225 mW of electricity. It creates this energy by utilizing the water of the Churchill and Naskaupi Rivers which have a total catchment area of about 67,340 km2 combined. The underground power station is about 305 meters below ground. It uses eleven generators with a combined capacity of 5,225,000 kW. In order to utilize this harvested energy, large power lines capable of handling voltages up to 735 kV were put in place to transmit the energy from Churchill Falls to the Hydro-Quebec transmission system in the Manicouagan-Outardes hydro complex. The distance between these two stations is 606 kilometers. 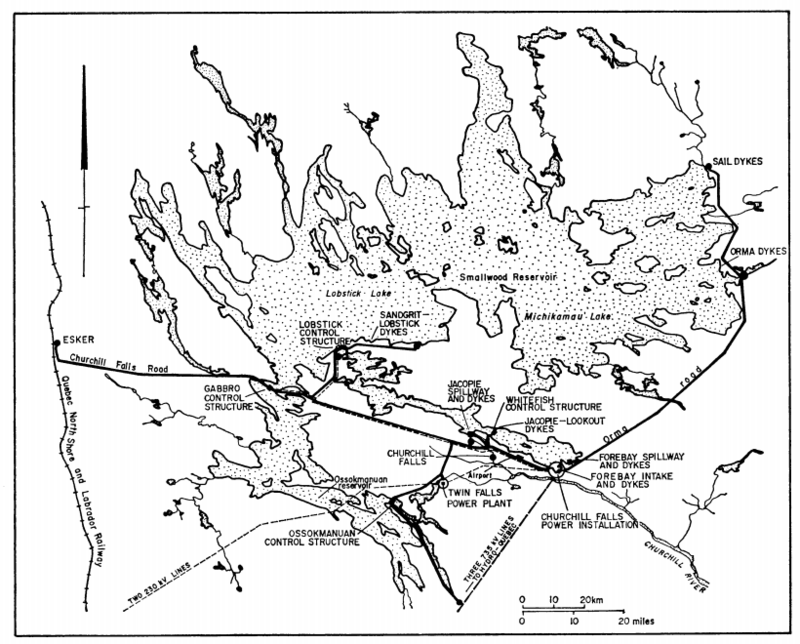 The energy from Churchill Falls was also transmitted via power lines to the Labrador City-Wabush area (Crabb, 1973). Crabb, P. (1973). Churchill Falls- The Costs and Benefits of a Hydro-Electric Development Project. Geography, 330-335. Makes me think of George Kennedy's "A Hoot in the Dark." 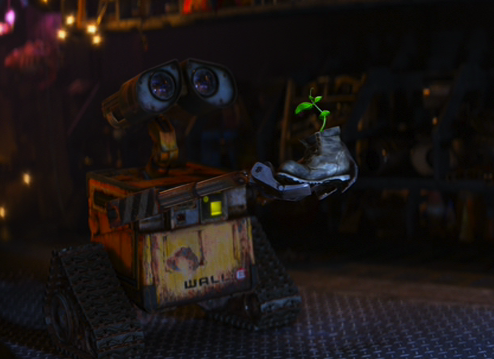 And WALL*E! In writing are the roots, in writing are the foundations of eloquence. By writing, resources are stored up, as it were, in a sacred repository, from where they may be drawn forth for sudden emergencies or as circumstances require. We must write, therefore, as carefully and as much as we can, for as the ground, by being dug to a great depth, becomes more fitted for fructifying and nourishing seeds, so improvement of the mind, acquired from more than mere superficial cultivation, pours forth the fruits of study in richer abundance and retains them with greater fidelity. And as the generation of man is effected by both parents, and as you will in vain scatter seed unless the furrowed ground, previously softened, cherish it so, neither can eloquence come to its growth unless by mutual agreement between him who communicates and him who receives.